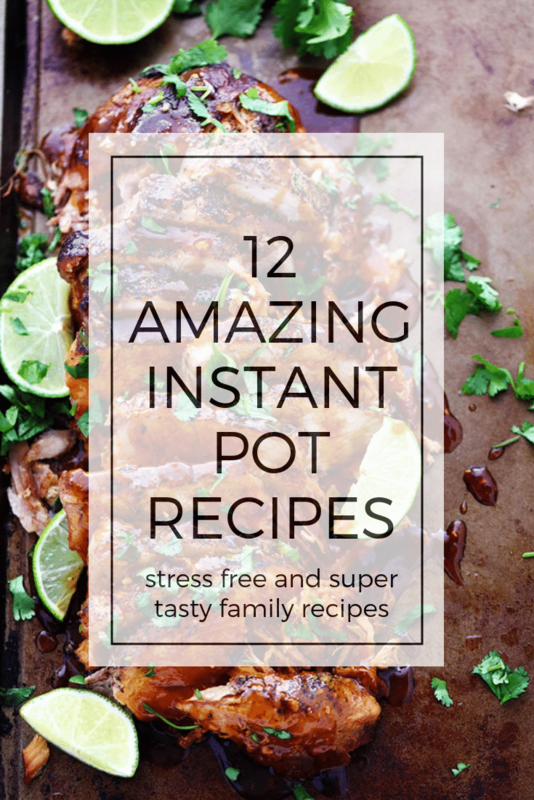 Twelve of my favorite hand-picked Instant Pot recipes for fall! These easy and no stress recipes will save you time and feed the family with no mess and no fuss! 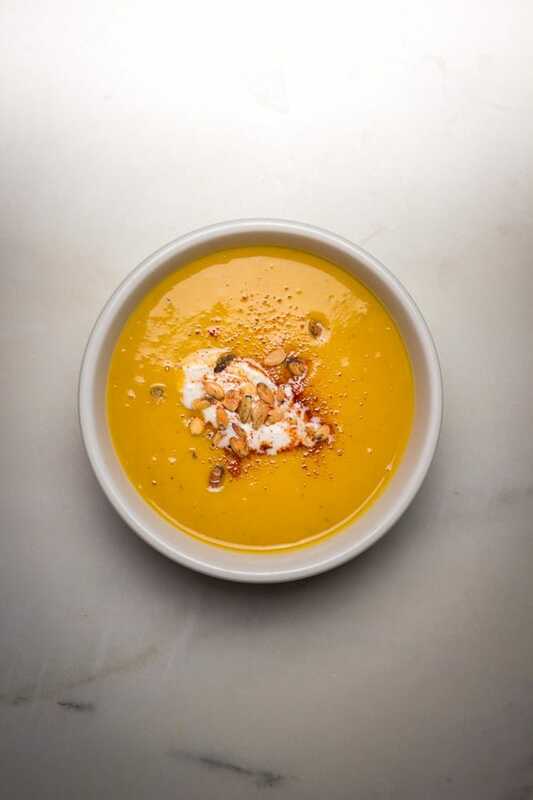 This creamy, thick and rich butternut squash soup with apple is a great way to show how easy it can be to make fresh homemade soups! Topped with toasted pumpkin seeds and coconut milk, this is the appetizer you’ve been looking for. 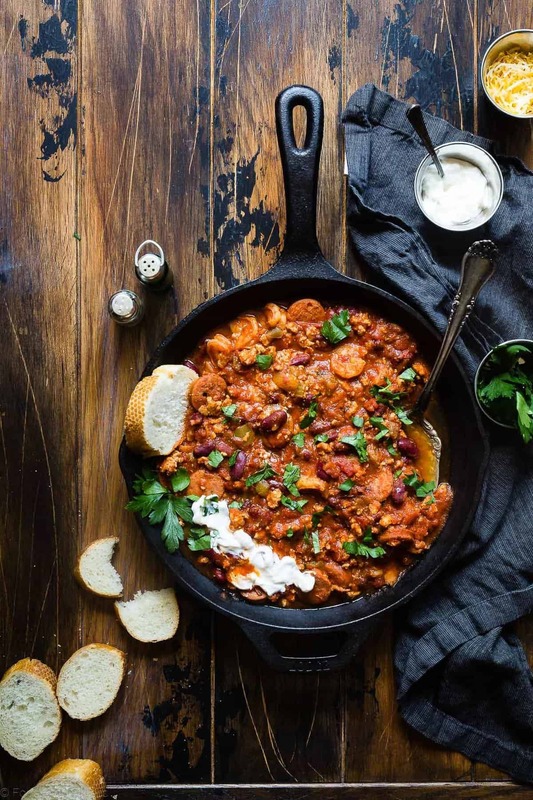 This incredible cajun style chili is packed with andouille sausage, chicken, and juicy shrimp, amazing!!! 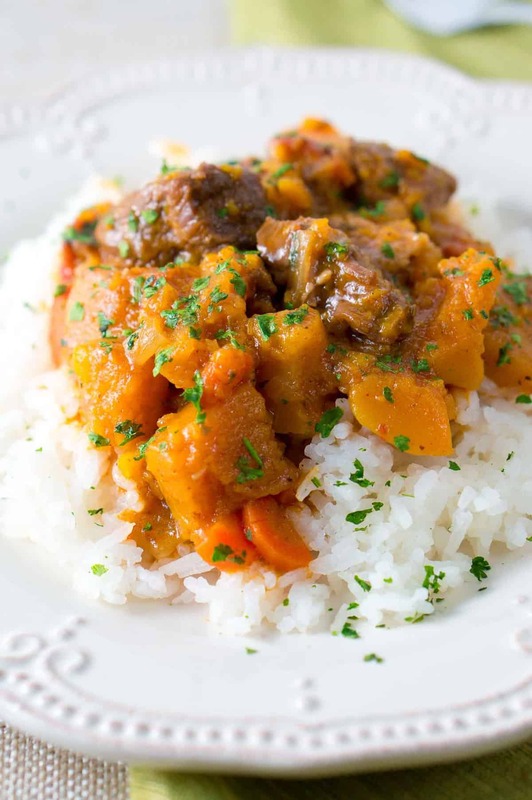 Yummy beef and butternut squash stew. This is a stick-to-your-ribs meal that will make everyone at the dinner table grab seconds or thirds! 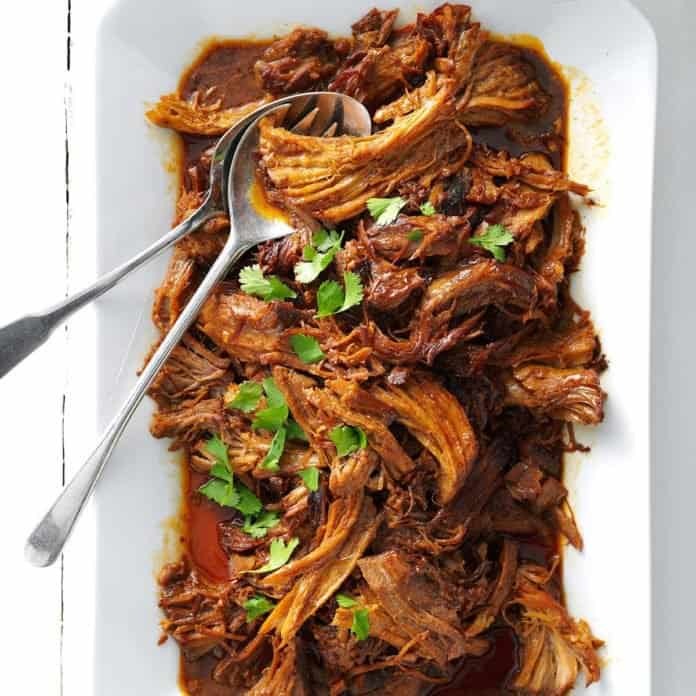 Sticky and sweet slow-cooked pork is perfect for a chilly winters night dinner, with honey, garlic, and ginger! 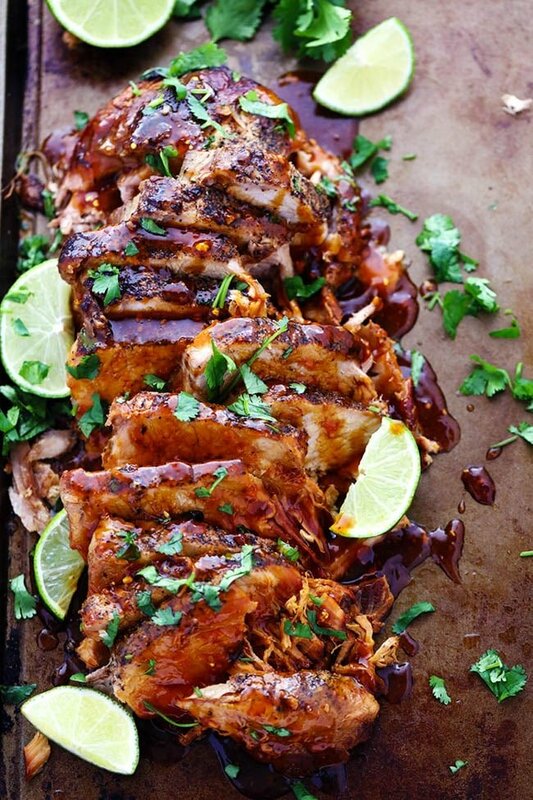 Instant Pot Char Siu Pork, eat it as is or make slider buns, tacos or quesadillas with it!! 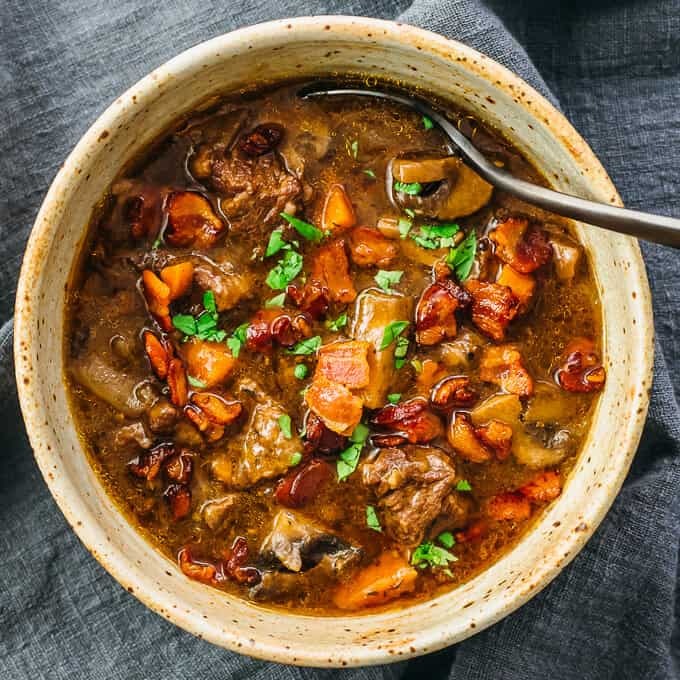 Chunks of beef slow cooked in red wine, onions, and carrots. This is comfort food at it’s best! 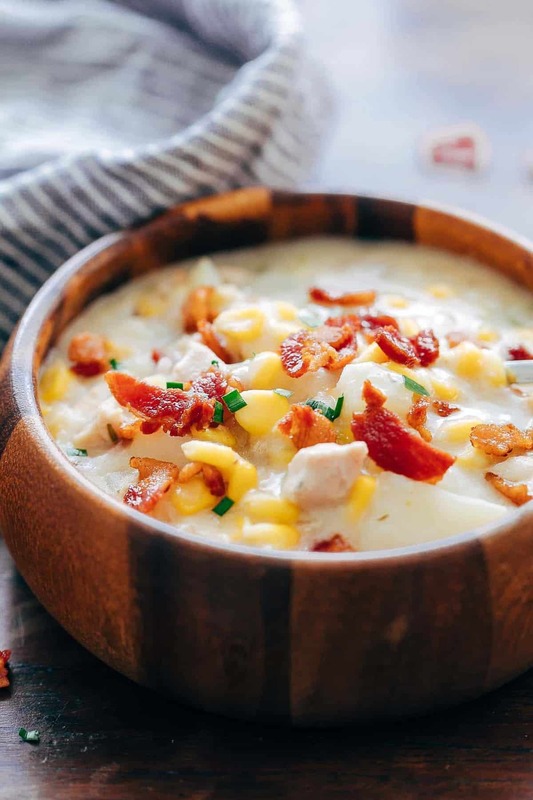 A creamy soup loaded with potato, corn, chicken, and bacon! Ready to eat in 30 minutes! 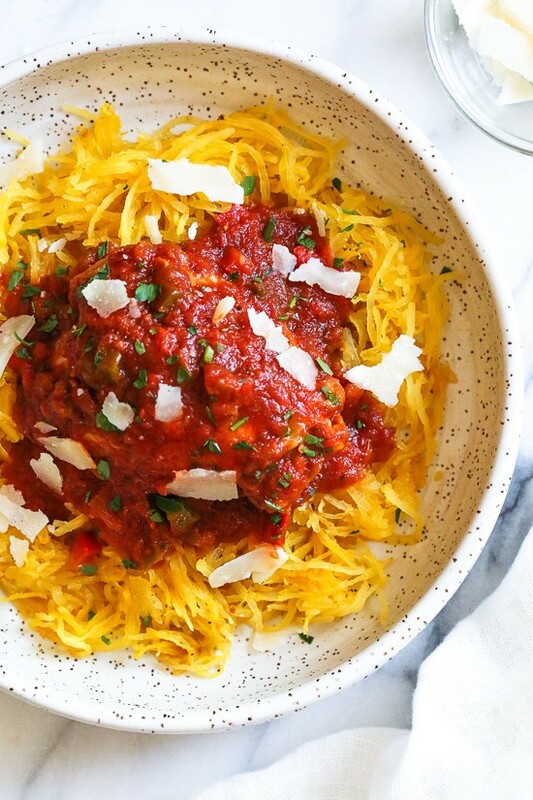 Serve this tasty main course over shredded butternut squash for a healthy alternative to pasta! 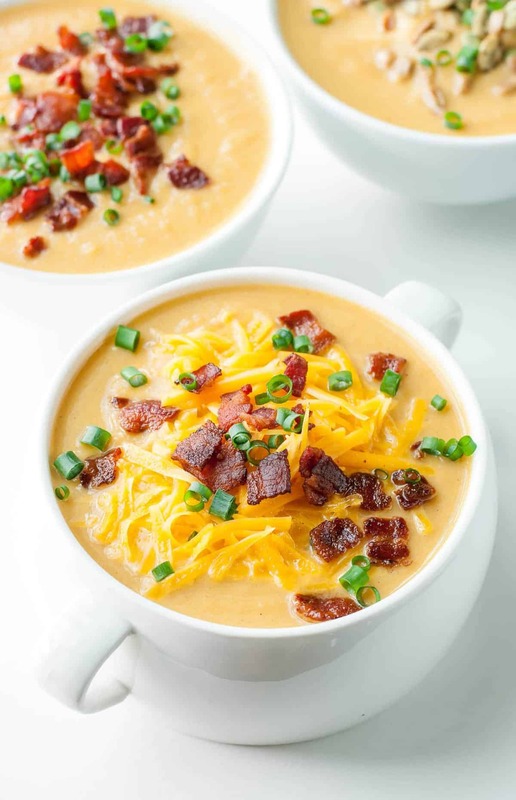 An easy hearty soup that’s super low-carb but still loaded with flavor! 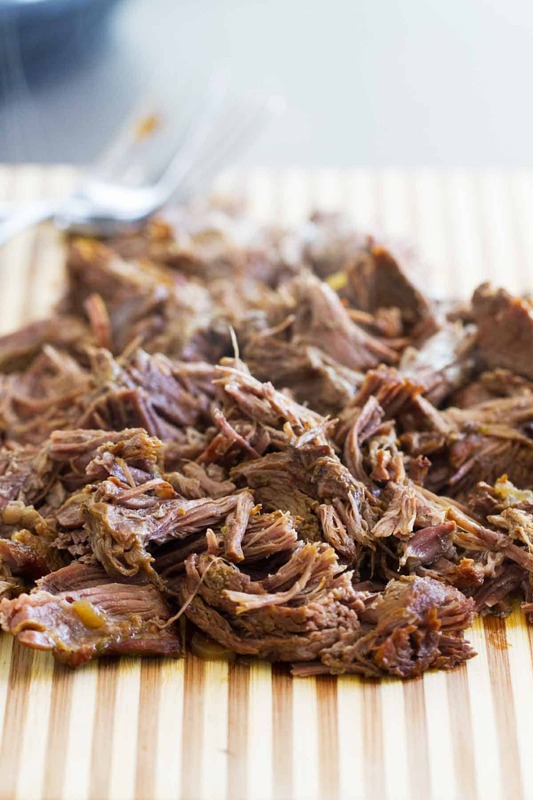 My favorite slow-cooked beef dish ever! Spicy barbacoa is great to eat as is and even better in tacos. Instant pots aren’t just for beef and chicken, you can easily make so many desserts too. 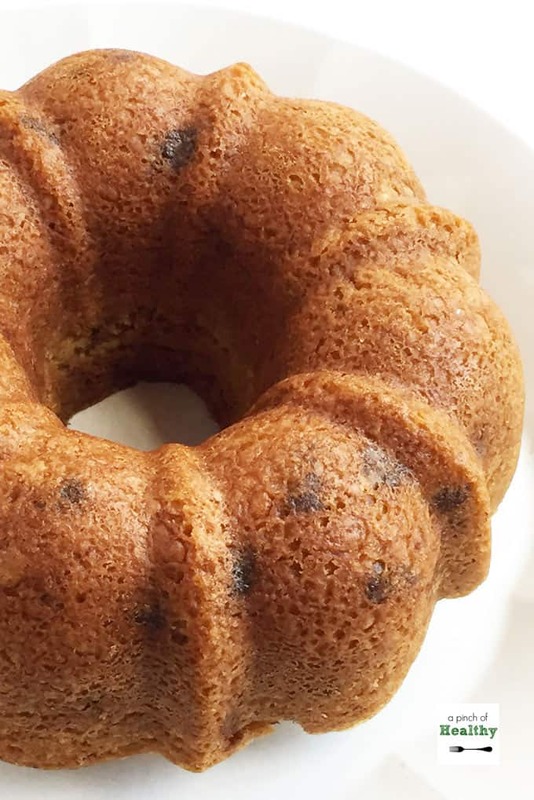 Try this moist banana and chocolate chip bundt cake with some ice cream on the side! 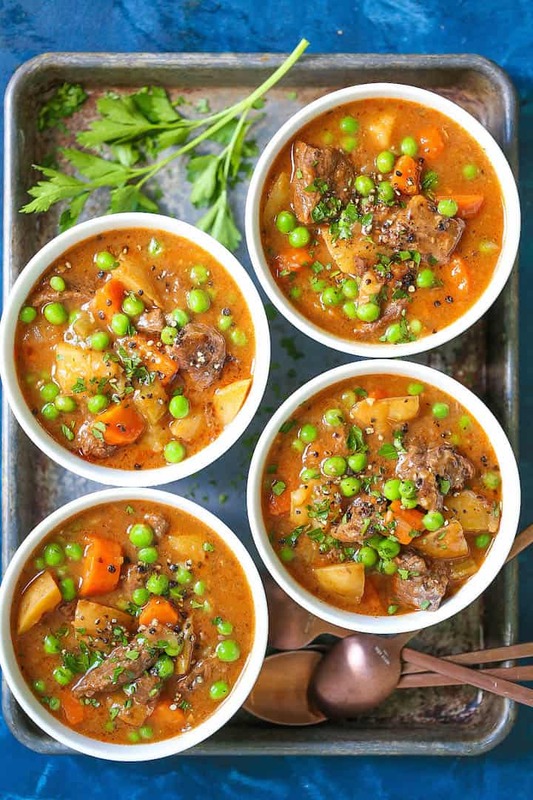 Peas, carrots, and chunks of tender beef are what makes this Instant Pot stew one of the best! 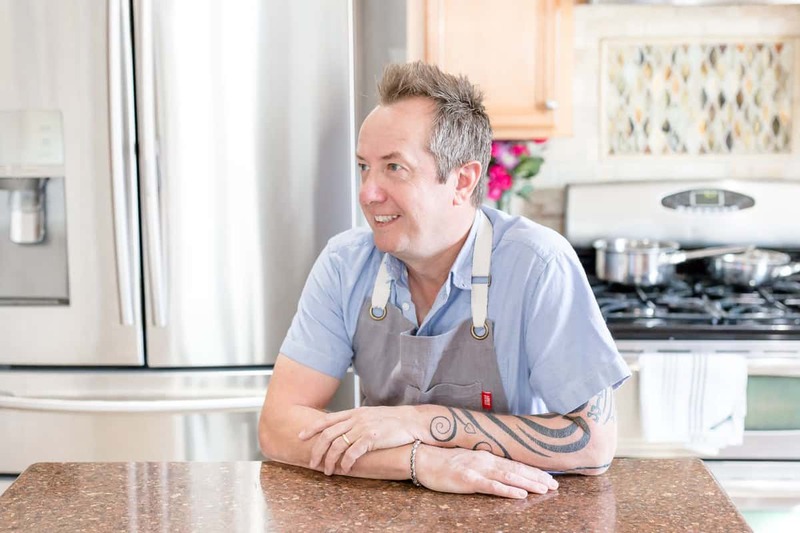 Don’t forget to follow me on Pinterest, Instagram, and Facebook for updates and new recipes! OHMYGOSH YES! I need more IP recipes for cooler weather and these are perfecto! Pinning! What a great roundup – Thanks for including my recipe Gerry! pinning this! You’re very welcome, it’s awesome!